How many times have you heard a glowing snow report, only to hustle over to the mountain and find yourself the victim of, well, some generous exaggeration? What? 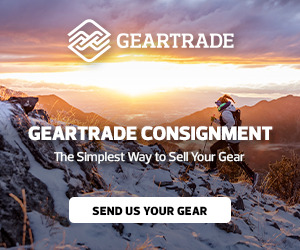 Ski areas lie? It’s not a shock to anyone that they want to put the best face on things so you’ll buy a lift ticket. But for those of us who have real lives — jobs to take off from, child care to arrange, travel to endure — it can be a costly annoyance. 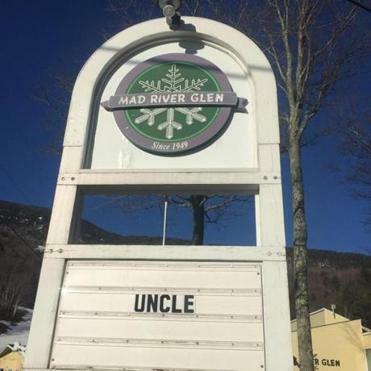 If you don’t know Mad River Glen, you may know its very famous tag line: Ski It If You Can. 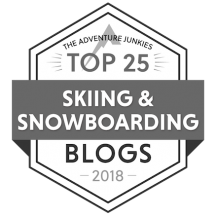 Mad River is known as an old school Vermont resort without the glitz and glamour you’ll find at other eastern resorts like Killington, Stratton, or Stowe. There are no condos or on-mountain amenities. Just skiing. 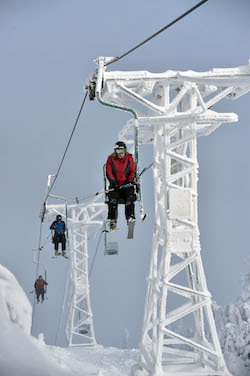 In fact, Mad River is unique in two ways: It has one of the two operating single chairlifts left in the US (the other is at Mt. Eyak, Alaska), and it’s one of three ski resorts in North America that don’t allow snowboarding (the others are Alta and Deer Valley). 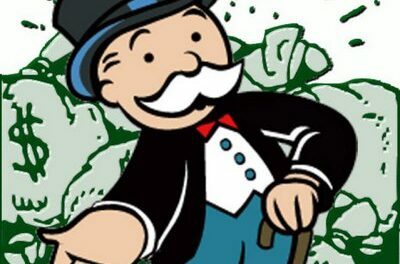 What’s more, it’s a fully owned co-op, which means instead of being owned by a large, faceless corporation, it’s owned entirely by shareholders — people like you and me who invest capital toward the ski area’s expenses. Mad River Glen isn’t huge — only 115 acres — but the skiing’s great and it’s got a vibe that’s definitely chill. So about this snow report: Sure, the news was bad. I mean, look at it! But the telling was so honest, so humorous, so unique in its delivery, that it ended up all over the internet. Which is how I came upon it myself. I wanted to know more about the backstory here, so I spoke to Eric Friedman, Mad River Glen’s marketing director, for some insight. SD: So just how was it at Mad River this year? EF: To put it mildly, it wasn’t our best year. We had a total of about 120 inches of snow, which is about half our average. We budget for being open about 110 days a year, based on 50 years’ worth of data. This year we were open a total of 45 days. And of those, the main mountain was open for just 35; for 10 it was just the practice slope. As you can imagine, our financial numbers were down in corresponding amounts. SD: Isn’t there any snowmaking? EF: Mad River has a grand total of four guns, and really, we can’t use more than three at a time. We make snow on less than ten percent of our terrain – all of the low elevation, high traffic areas; basically, just the run-outs. Everything else comes from the heavens. People don’t come here for our snowmaking, but it’s important to us, even though it’s limited. SD: Your snow reports made quite a splash, particularly the one in December. Can you tell me about it? EF: Sure. The whole idea behind all of our snow reports is immediacy — I want to show people what it’s like here right now. So about this particular report: It was a Saturday, and I wasn’t planning to come to work at all. I was bringing my girlfriend’s daughter to the mountain for junior instructor training. I pulled into the parking lot, and decided to walk over to my office to get something. And that’s when I saw it: this little patch of snow with 40 people doing laps. It was our ski school in training. It was so funny that I decided to do a snow report right then. The majority of people who saw the video thought it was staged, but really, it wasn’t. I did the whole thing in one take, completely off the top of my head. I honestly didn’t think that much of it, but when I posted it, it went nuts. SD: It was funny and sad and entertaining, but mostly, it was refreshing in its honesty. I think that’s why it connected with so many people. EF: Well, one of the things about Mad River is that it’s a different kind of a place. It all starts with the fact that we’re owned by the skiers. So we have a little different take on things. SD: Did you get any blowback from your boss? EF: Actually, no. We have a good relationship and he trusts me to do my job. I’m also one of the few marketing directors that do the snow report themselves. Most ski areas have a staff of snow reporters, but at Mad River, I’m it. And I never lie; if it’s raining, I say it’s raining. I’ve been here twenty years, and very early on I took the attitude that I was going to have the most honest snow report in the business. 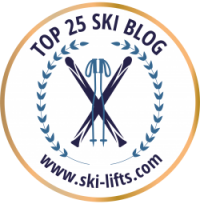 I took a longer view of the relationship with our skiers than many other places do. I’m not going to give a snow report to try to sell you a lift ticket today. I’m trying to develop a relationship of trust with our customers and shareholders. I never exaggerate our snowfall totals, so very often it looks like we have less snow than any other area in the state. I’m not under pressure to inflate it like some areas are. Actually, the biggest criticism I get from our shareholders is that I undersell too much and that it’s better than I said in the report. But really, you’re not doing anyone any favors by lying. SD: Have you been surprised by all the attention you’ve been getting? EF: Absolutely. I couldn’t believe it. As a marketing professional, it reinforced how interconnected social media is and how they feed off one another. The amount of PR we got from that video was incredible. SD: By doing that report, you set a pretty high bar for yourself. You did some others, too. I know you did one after the mountain closed for the season that was pretty funny, too. Was that off the cuff, as well? EF: Yes. It was totally unscripted. Folks just want to know what’s going on up on their mountain, so whenever anything interesting — or not so interesting — happens here I try to show it. I do mountain reports all summer long. SD: Let’s take a look at that one, too. There’s a little bit of black humor there, but truly, I can appreciate the honesty behind it. I wish more ski areas would follow Mad River’s lead. Mad River ended its ski season on March 14, more than a month earlier than 2015, with a poignant letter to its shareholders. In it, Mad River Glen’s president, Jamey Wimble, told members that its seasonal staff had been laid off earlier this season and full-time workers would be taking unpaid furloughs in the offseason. “The mountain finds itself in the most challenging financial situation it has seen since the founding of the Co-op in 1995,” the memo stated. “Other regional ski areas are experiencing similar or even worse financial challenges.” The marquee outside the resort reflected its surrender to the dismal weather. There’s a lot to be said for the honesty exhibited by Mad River Glen. Given the great response they’ve received, other resorts would do well to take a page out of their book. Here’s hoping for a better season next year for Mad River Glen and all the eastern ski resorts. PreviousIt’s your week to get healthy, Divas! And so it begins: My two first days. The high price of skiing. Great post! But, I’d like to add that Utah’s Deer Valley Resort also does not allow snowboarders. Thanks, Tom and Kristen! I’ve made the change.